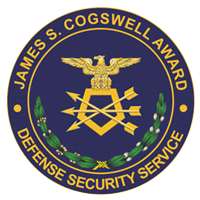 In June 2015, LexisNexis Special Services Inc. was a recipient of the James S. Cogswell Outstanding Industrial Security Achievement Award for 2015. The award, which was presented by the Defense Security Service (DSS) during the National Classification Management Society (NCMS) 2015 Annual Conference, recognizes industrial security excellence by select large and small defense contractors that are subject to recurring assessments. The award criteria places a focus on principles of industrial security excellence, including factors such as establishing and maintaining a security program that far exceeds the basic National Industrial Security Program requirements; and providing leadership to other cleared facilities in establishing best practices while maintaining the highest standards for security. The Cogswell Award selection process is rigorous. A DSS Industrial Security Representative may only nominate facilities that have at a minimum two consecutive superior industrial security review ratings and which show a sustained degree of excellence and innovation in their overall security program management, implementation and oversight. LexisNexis® Risk Solutions has been selected as the Washington D.C. Police Foundation’s Public Safety Business Partner of the Year. 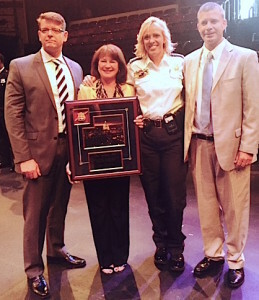 The award, which was presented by Cathy Lanier, Chief of the Metropolitan Police Department (MPD) during the Washington D.C. Police Foundation awards ceremony on June 25, recognizes LexisNexis Risk Solutions’ support in helping to keep the National Capital Region safe. The Public Safety Business Partner of the Year award was awarded for LexisNexis’ continued support of, and collaboration with, the MPD and the Washington D.C. Police Foundation in the pursuit of public safety. LexisNexis Risk Solutions supported the Junior Cadet holiday giving, teacher wish list initiative, Youth Creating Change program and Full Court Press event at the Verizon Center. Throughout the year, LexisNexis Risk Solutions has been instrumental in supporting efforts to make the Nation’s Capital a safer place to live, work and visit. LexisNexis Risk Solutions has been supporting the MPD for over 10 years. Through the company’s advanced data analytics, data fusion and linking capabilities, LexisNexis Risk Solutions provides MPD a platform to enhance their crime investigation and anticipation activities.